Home » Why The Stereotypes? » Who Else Has Been An Other? The term “Othering” refers to the processes by which societies and groups exclude those whom they want to subordinate. Othering creates contrasting differences that involves producing narratives and images about a group of people that demonizes or dehumanizes them. It provides the justification to treat these Others as inferior. Othering is a recurring historical phenomenon that is not unique to Arabs. Various groups, including African Americans, Asian Americans, Native Americans, Latinos and white ethnic Americans have been stereotypically represented at different time periods, such as the eras of U.S. colonization and slavery, WWII, and the Cold War. There are three common ways in which an Other is created. Here we identify three particular ways, animalization, naturalization and infantilization, delineated in Ella Shohat and Robert Stam’s book Unthinking Eurocentrism. By providing a framework of common modes of Othering, our hope is that visitors will be able to more readily identify the process of Othering through these categories. Professor Brooks On The Relationship Between Stereotypes And Public Policies. The Races of Men. Illustration from the World Book Encyclopedia, 1928 Courtesy of the Wing Luke Asian Museum, Seattle WA. Imagery that exaggerates differences between racial and ethnic groups is a recurring historical phenomenon that is not unique to Arabs and Muslims. Agatha Christie’s Ten Little Niggers, 1939. Courtesy of the Jim Crow Museum, Ferris State University, Big Rapids, Michigan. This novel was renamed And Then There Were None in the late 40s and all instances of the slur were removed from the book. 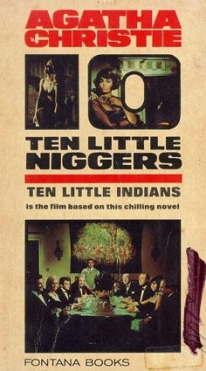 The use of the pejorative was due to the nursery rhyme “Ten Little Niggers” (“Indians” and “Soldiers” in later editions) which serves as the methods for the ten murders in the plot. 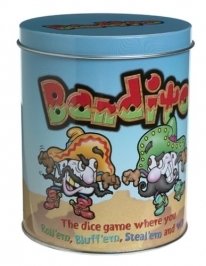 Playing cards with racist stereotypical cartoon decorations. 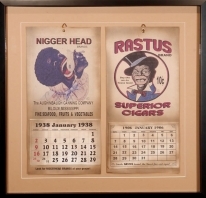 “Niggers and Caricatures,” Jim Crow Museum, Ferris State University, Big Rapids, Michigan. 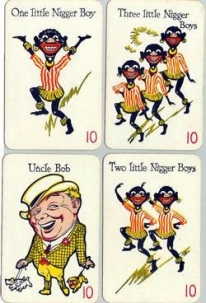 Racist images on promotional calendars from 1906 and 1938. Objects in THEM: Images of Separation, traveling exhibition, Jim Crow Museum, Ferris State University, Big Rapids, Michigan. 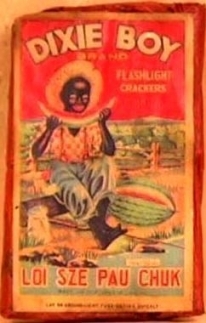 Dixie Boy crackers packaging. Jim Crow Museum, Ferris State University, Big Rapids, Michigan. One of the most common racial stereotypes is picturing the Other as child-like and uncultured.